What are these owls doing here? 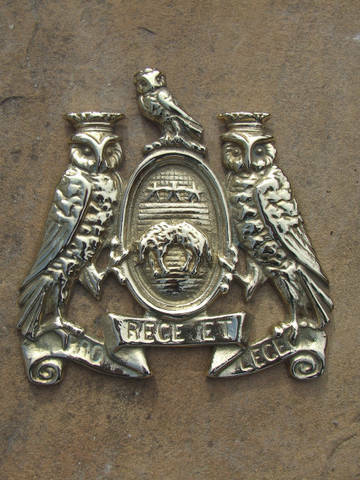 The coat of arms of the city of Leeds features a fleece and owls. As a sign of civic pride by one of our engine making companies John Fowler & Co, a brass plaque featuring this coat of arms was fitted to many of their traction engines and steam rollers and many machines bearing the Leeds coat of arms were exported all over the world. More information about the Leeds coat of arms is also available here. The site colours of yellow and blue are based upon the gold and blue used throughout Leeds for various sporting teams and the coat of arms.